Malt and hops accented with roasted pumpkin and spices of the season. A subtle hint of vanilla and honey. Punk’n is a wonderful compliment to foods with nutmeg, cinnamon, and clove flavors. Try it with roasted turkey, squash or pumpkin ravioli, peach cobbler, or pumpkin cheesecake. Punk’n pours a deep amber with a cascading burnt sienna hue. The head starts off as an inch and a half of foam before fading. Some carbonation is present but isn’t that noticeable. Just like with 90% of the other beers in this style the nose is big on pumpkin. Unlike most others I also picked up carrot cake and an odd grain/seed smell that I thought smelled like fennel. Faint hints of cake donuts appearing adding to an already sweet smelling beer. The taste starts off with a graininess/spiciness that fades into pumpkin seeds before ending with a carrot cake/gingerbread backbone. The grains at the front are slightly off-putting, but thankfully is doesn’t last long before the sweet pumpkin and carrot cake flavors take over. Punk’n has a light creaminess and drying that comes from the mixture of sweet and spice. My mouth was dried out, with a bit of residue staying behind. 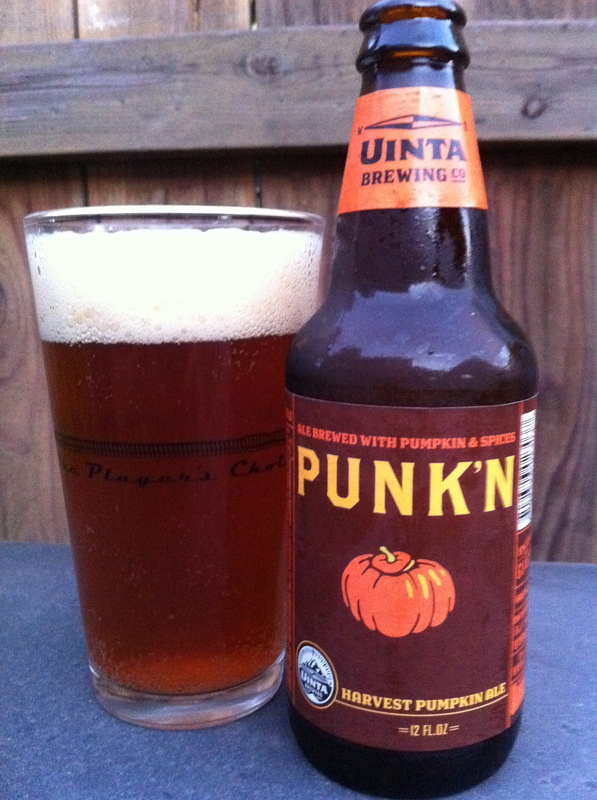 Punk’n is a relatively non-abrasive fall beer. It’s not as big as some of it’s brethren, but it’s more flavorful than others. The spices are a little meh at first, but the carrot cake comes around at the end to save the day. If you’re in Utah this autumn you might just want to pick up a sixer.